I’m still not through fussing about the SCOTUS/Hobby Lobby decision yesterday. Are you? For writing a 5-4 majority SCOTUS opinion on the Hobby Lobby case that was nothing short of criminal. If you too would like to exercise your right to STAB STAB STAB (with little needles, not nice sharp knives. Or swords. Alas) your rage into the asshat who wrote the majority opinion for the Hobby Lobby decision, be my guest. Share and reshare freely – just be nice and give credit where it’s due. 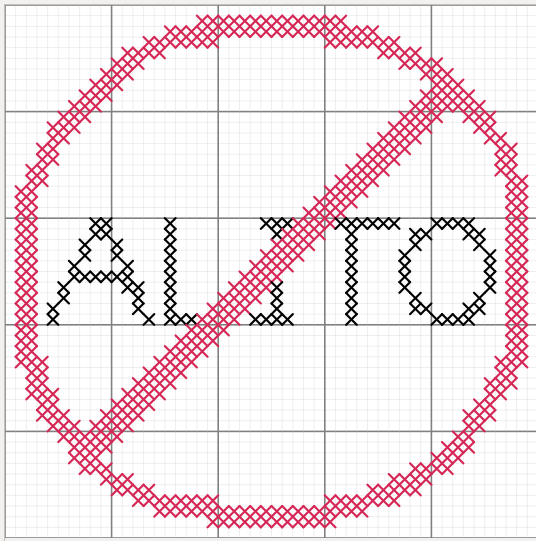 And if you stitch this, send me a pic here with the details (fabric, count, floss, etc). As long as you’re cool with it, I’m happy to post it.